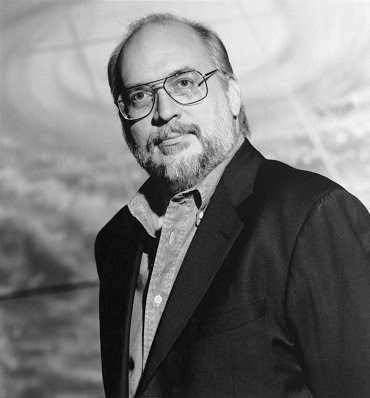 J. Michael Straczynski is hot. His original script, "The Changeling," directed by some guy named Clint Eastwood and starring Angelina Joli, was a big hit at Cannes. His screenplay for "World War Z," based on the hit novel by Max Brooks (Mel's son) is in preproduction; he just did a quickie polish on a Wachowski Brothers script; has another film set to be directed by Bourne director Paul Greenglass; and will be working on a series of films based on the classic "Lensmen" science fiction tales with Ron Howard. And there's more. JMS was best known for creating, writing and producing the epic TV series, "Babylon 5," and has just signed to write comics for DC, having concluded his previous deal with Marvel. A few years back, I wrote a piece on writers who traverse the worlds of TV, film and comics, now a pretty common occurrence. Then... not so much. I interviewed Joe and the rest, as well as Marv Wolfman, who wasn't included due to space, but I'll have to dig out the q&a sometime and run it. You're watching television, barely paying attention as the credits roll by, then a familiar name pops up, though you can't quite place it. But a minute later, aha! It's the guy who used to write Spider-Man for Marvel Comics back in the `70s, Gerry Conway. What the heck is he doing writing and producing "Law & Order: Criminal Intent?" A roll call of network and cable TV writers and producers reveals an increasing number who either got their start writing comic books, or still move back and forth between the two media. So how did Gerry Conway, the creator of "The Punisher," the infamous Gwen Stacey clone, and writer of "Batman," "Justice League of America" and the "Star Wars" newspaper strip, migrate from the four-color pulp page to the cathode-ray tube? "I couldn't get any comics work after 'Justice League,'" Conway said in a telephone interview. So he toiled in animation, which is considered to be decidedly down-market in status-obsessed Hollywood. "I'd never work in animation again," recalls a rueful Conway, "unless I was starving. It's an abusive, terrible job, and the pay is lousy." Conway continued to plug away, securing TV script assignments for non-animated shows like "Perry Mason," "The Centurions," "Matlock," "Jake and the Fatman," "Diagnosis Murder," "Hercules," "Baywatch Nights" and "Law & Order." He's now a consulting producer on the most interesting of the four (and counting) "L&O" series, "Criminal Intent". "Consulting producer is a staff position," Conway said. "For a variety of reasons, there are different titles on every series, and some credits are a little like those in high school yearbooks. But I am a producer and write four scripts a year, one every two months, so that keeps me pretty busy." Though Conway was never a fan favorite or critic's darling during his comics career, he was always regarded as a solid professional. Now, it hardly makes financial sense for him to spend his time writing them, he said. "Many of the same skills are involved: character development, research and pacing, plus they're both visual mediums — but comics pay considerably less." Despite that, he was set to do a five-part Batman mini-series for DC, he said, "but (editor) Andy Helfer got fired, so it's not going to happen." He has a few other potential projects under way, but Conway continues to write and produce for "L&O: CI," looking forward to next season. When British comics scribe Neil Gaiman starting writing "Sandman," he followed fellow Brits Alan Moore and Grant Morrison, who breathed new life into heretofore-moribund features like "Swamp Thing" and "Animal Man," respectively. Gaiman abandoned all but the Sandman name, imbued the new character with a poetic (some might say, new age) sensibility, and was lauded as a visionary. It was, in some ways, an odd turn. Comics, after all, are a relatively disposable medium. But Gaiman's work is an exception. "Pretty much every comic I've written is still in print," he writes in an e-mail interview. "Most of the ‘Sandman' collections are now in their 12th or 13th printing, and sell more and more every year." Gaiman, whose novel, "American Gods" had a nice ride on the best seller list last year, has relocated to the United States. He still writes comics, despite ending "Sandman's" regular monthly run a few years back. But he has always worked in a variety of media, including television, scripting an episode of the classic science fiction series, "Babylon 5," as well as his own BBC miniseries, "Neverwhere." "Making ‘Neverwhere' with the BBC," he wrote in an e-mail, "was like working with an artist who's a bit out of sympathy with the material. But a lot of good stuff made it through the BBC filter anyway." There are subtle but substantial differences in writing for comics, television and the screen. "Storytelling and the alphabet are pretty consistent from medium to medium, everything else is mutable. If I'm writing a comic I have to describe every panel to an artist. In cinematic terms, I'm the director and the editor as well, while the artist is the cameraman and all the actors. If I'm writing a TV or movie script it's basically dialogue and the action. Much less work. "You get paid a lot more for writing one TV episode than you do for writing one comic," Gaiman said, "just as you get paid more for writing a movie than you do for a TV episode. I've always found it easier to do the work I loved and let everything else sort itself out." J. Michael Straczynski created and produced "Babylon 5," arguably the purest evocation of science fiction on television — ever. He wrote most of the episodes of its five-year run and several "B5" movies at the same time, which must surely be a record on this world and several others. In addition to scripting the current monthly "Amazing Spider-Man" comic for Marvel, he writes and produces the Showtime television series, "Jeremiah," and has several other projects in various stages of development. His first comics work, a story for DC's "Teen Titans Spotlight," came after he'd broken into television. "Certainly comics work pays less than TV and film," Straczynski explains. "But I feel strongly that you should never do something because it pays more money than something else. Money should be tangential. On the one hand, you want to get paid and dealt with as a professional; on the other, the truth is, you can only eat one meal at a time, live in one house at a time, drive one car at a time. I do what I love doing. The money is secondary. The funny thing is, if you approach life that way, oddly you can often make a good living at it." This well known Superman fan and collector has not scripted any of the archetypal superhero's animated exploits because, as others note, animators get no respect. "I haven't pursued it for years because it took me a while to get out of animation, which has kind of a stigma in town, into live action. The only exception to this was when the Superman animated series was announced. I called the people over there — I think it was (writer/producer) Paul Dini — and said I'd love to do a script. I had done 'B5' at this point, and when I got them on the line, they kind of copped an attitude, one of, 'Oh, so after being Mr. TV you want to write for our little show now?' and that door was basically closed." For writers, it's a natural transition between comics and television, but what of artists? Howard Chaykin's adaptation of "Star Wars" for Marvel (with scripter Roy Thomas) was one of the best selling, most reprinted series of the day. His own creation, "American Flagg," ran in two influential and prescient series for now-defunct First Comics, and a proposal for re-launching the venerable Batman as a young, modern, very hip (and libidinous) figure ultimately morphed into "Midnight Men," a creator-owned title published by Marvel. Chaykin continued to write and draw comics, but also toiled as a writer and producer for comics derived (or similar) television shows, including "The Flash," "Viper," "Earth: Final Conflict" and "Mutant X." In a telephone interview and e-mail exchange, Chaykin describes how he made the transition from comics to television. "I moved to Southern California in the mid-`80s, wrote a few (sample) screenplays, and was hired as a story editor on 'The Flash' and ended up writing something like six episodes." "Of course, the real difference between writing comics and writing television is money — both in what one is being paid and what is being spent on bringing the work to life," he said. "Simply put, staffing a television series makes it possible to earn five times my income in television. On the other hand, the stress level of television eats my stomach — so there's always a trade off." Mark Verheiden is a writer and co-executive producer of the WB's "Smallville," featuring a hunky, adolescent, not-yet-Superman version of Clark Kent. He wrote the screenplays for "Timecop" and "The Mask" movies, and the best-selling "Aliens" and "Predator" graphic novels, as well as his own creation, "The American," for Dark Horse Comics. "Many of the same skills are involved: character development, research and pacing ... but comics pay considerably less." Currently Verheiden is writing a bimonthly "Smallville" comic for DC. He got started in the field of comics and television by studying film in college. "I optioned two feature screenplays before I wrote and sold my first comic book story. I've pretty much been working in both worlds all along," he said by e-mail on location on the eve of the production of next season's "Smallville." "In either form, the key thing is thinking visually to tell a compelling story. Great dialogue helps, but if the story and the visual idea isn't there, you won't have much." Also on "Smallville's" staff is producer/writer Jeph Loeb, who scripts comics for DC, Marvel, and other publishers. Kevin Smith, writer/director of "Clerks" and "Chasing Amy" has written for DC and Marvel, as well. As long as comics and filmed entertainment require dynamic storytelling and scripters who think — and write — visually, the crossovers between both media will doubtlessly continue.